One of my blog reader ask me about this, how any one can write Anchor Text in Comment on Blogspot blogs, actually there is the big reason behind this, that is SEO (Search Engine Optimization). 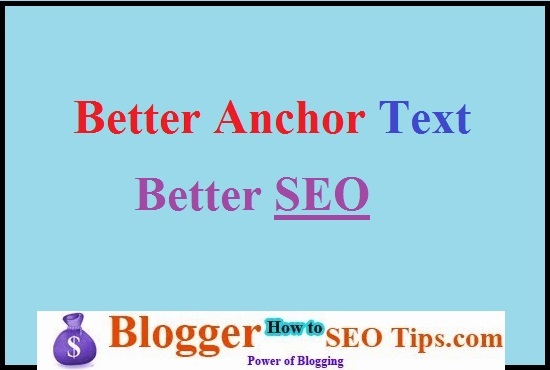 actually each time you will write an anchor text you will get one unique back link to your blog, more important you will drive traffic to your blog, but there is a problem many bloggers do not allow, but this is also true that many did allows. So, first need to find blogspost blogs those have domain name as well as those don't have domain name on your niche, then only you are going to get more benefit from it. Because Google will give rewards for getting back links from other blogs on your niche but after knowing the tip don't be in hurry I mean don't try to find 100 blogspot blogs in a day and write anchor text and point the link to your blog or single blog post. It may hurt your blog. That's true, but if you will do it gradually, I mean like 5 to 10 anchor texts daily then it would be quite good for your blog specially SEO point of view. There is nothing to do with third one, but you can write anchor text comments on the other above two, so here is the code for you. Write comment related to the content of blog post then select keywords which keyword is important for any of your blog post or your blog. That's it, if you will write this code then blogger will automatically show as a back link to your blog, which is also known as anchor text. See, every blogger does not allow this, but there are bloggers whose allow anchor text, then you have to make a list of blogs then start writing anchor text comment but not in one day, make a proper schedule for it and start grow gradually. Is there any problem are you facing about blogging? And you are taking advantage from your very first comment! You are implementing from this blog post.